I’m teaching WRIT 1122, Rhetoric and Academic Writing, at the University of Denver in the winter of 2019. My students are all in their first year at DU. Here’s my basic description of the course, from my syllabus. This course will focus on your development as an ethical nonfiction writer for serious readers in the public sphere, emphasizing rhetorical principles. You’ll learn several rhetorical concepts, and you’ll think critically about how writers use them to engage, inform. and persuade readers. You’ll practice those concepts and strategies in your own writing, and you’ll frequently have choices of topics, including for your longer projects. Four terms in the brief paragraph above are important to this course. There are many types of writing, of course, but we’re focusing on nonfiction: writing based in fact or events as they happened. Regardless of too many irresponsible claims these days, there are such things as facts and truth, and they matter. Nonfiction writing can have purposes of informing, persuading, entertaining, expressing and so on. Nonfiction does not mean “plain” or “artless.” The public sphereis a wide concept perhaps best understood by what it’s not: not academic writing (pieces written only for professors or academic readers), not professional/vocational writing (pieces written in workplaces, to conduct business or a profession), not personal writing (pieces that writers make for themselves or close friends). All of those other kinds of writing are important, clearly; we’re just focusing on the public sphere. Rhetorical conceptsare principles and strategies that people can use to engage others, often for purposes of persuasion, concepts that have been developed and refined for over two millennia. Rhetoric often has a bad name, something similar to “opportunistic” or “exploitative” or, even, “divorced from reality.” There can be unethical writers and speakers, unfortunately, and we’re experiencing some of them these days. But rhetoric is actually a productive, useful art. Hence the last important term: ethical. Ethical writers care about truth and responsibility. They’re committed to pursuing not only what’s best for themselves but also for others. Of course, good people can disagree, but they can—and should—do so ethically. 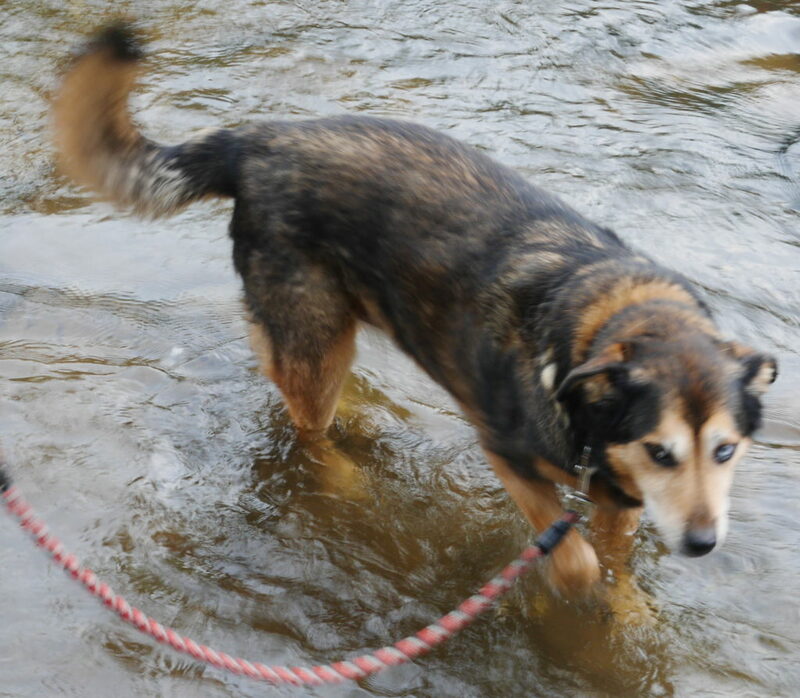 Our main readings will come from current professional media, primarily including The Washington Post and The New York Times, but occasionally also from The New Yorker, Harpers, and The Atlantic. These are available free to DU students, and I’ll provide directions for accessing them. Each of the readings will require time and effort, with particular attention to matters of craft, that is the choices of idea, form, style, and voice that their authors made, as well as the effects of those choices. Don’t just skim. You’ll need to read each piece at least a couple of times, maybe even more, the first time for pleasure and insight, the subsequent times to understand techniques and strategies. Read like a writer. I will also provide some readings on concepts and strategies for writing. Writing is a skill that continues to develop throughout life, as writers encounter new kinds of genres, purposes, and readerships that require new kinds of skills. Of course, as you acquire more skills and experiences, you have more from which to draw in new situations. But learning to write has some things in common with learning to play the piano. You might say you can play the piano when you’re able to get through “Twinkle, Twinkle Little Star,” just as you might say you can write when you can write “What I Did on My Summer Vacation” or a five paragraph theme on “Someone I Admire.” But playing a Beethoven sonata or writing a New York Timesop ed require magnitudes of ability beyond. I assume you’re competent writers because you’re at DU and in this class. My goal is to make you a better writer by introducing some concepts and challenges and pressing you to learn and meet them. Everyone can get better. Though I’ve published a lot and generally feel pretty confident, I’m still developing as a writer. You learn to write by writing and getting feedback—through guided practice. Ten weeks is not a long time, but we can do a lot with it. The first several weeks of the quarter will feature a series of short writings (500-750 words or so) due most class meetings. The last couple of weeks will entail developing at least a couple early writings into polished pieces of 1000-3000 words or so. A final portfolio of 6000 finished words will come from your writing across the quarter. The short writings in this class will fall into three types. You’ll do several Exercisesdesigned to practice specific techniques and strategies. You’ll also do several Response/Analyses, which will involve your choosing a piece of current nonfiction from one of the periodicals I’ve identified for the class, writing a brief synopsis of it, explaining your response to the piece (agreement, disagreement, connection, complication, or implication), and explaining one or more rhetorical strategies you see at play. For each each of these out-of-class short writings, give yourself enough time to revise and polish. While there are benefits to drafting quickly to generate ideas and explore experience, you’ll need to revise and refine, making every word count. The third type of short writing will be in-class exercises. These will be often be generative and experimental; take them seriously, but obviously they don’t allow the kinds of revision that out-of-class pieces do. The longer polished pieces (projects) will grow out of this earlier work. I’ll ask you to choose two or three ideas from the first part of the class and develop each into a piece of modest length of a kind that might be submitted as an article to a periodical or website that publishes nonfiction for serious readers. I’ve cleared out the last couple of weeks of the course for developing these projects, and I’ll offer advice, respond to drafts, and so on. Others in the class will also share their insights. We’ll work as a supportive group of writers. You’ll cap the quarter by turning in a portfolioof work from the term. That portfolio will include revised, polished versions of the long pieces, as well as some revised examples from the short writings. You’ll also write an introduction to the portfolio (about 500-750 words) , explaining what it demonstrates about your writing in relation to the course goals. One last thing. While writing takes effort and can be frustrating, I absolutely believe it’s also rewarding and, dare I say it, even fun. 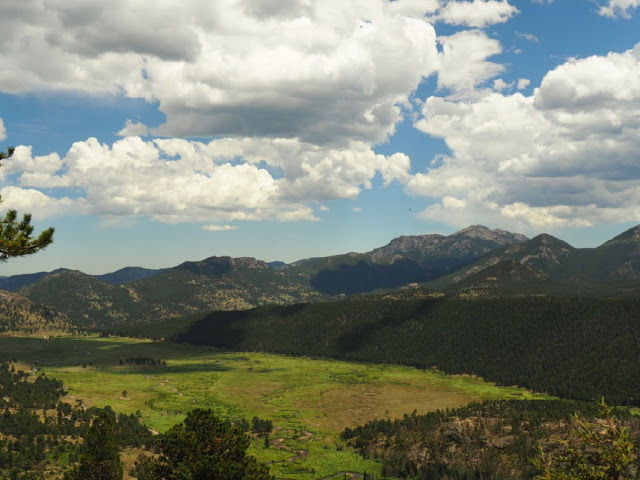 There’s an element of intrigue in trying to figure things out through writing—a puzzling challenge that others can help you solve. And there’s an element of pride at seeing your ideas crafted into words. I hope this class provides some pleasure as well as some practical knowledge. Demonstrate practical knowledge of the concept “rhetorical situation,” through the abilities both to analyze and to write effectively in different kinds of situations. Demonstrate proficiency with basic elements of rhetorical analysis (such as logos, ethos, and pathos) in a range of texts, and the application of that facility in their own writing. Demonstrate the ability to produce writing that effectively provides evidence and reasoning for assertions, for audiences of educated readers. Demonstrate the ability to incorporate and attribute or document source material in rhetorically effective ways. Demonstrate the ability to use feedback to revise their own writing and the ability to provide useful feedback to others. Demonstrate the ability to edit and proofread their writing. What do these goals mean? We’ve explained each at https://www.du.edu/writing/firstyear/writ1122.html. That page also discusses features common to all WRIT courses at DU. Ander Monson, at the website Essay Daily, had the idea to invite a few hundred folks to write about “what happened June 21, 2018.” He’s publishing 10 essays a day. 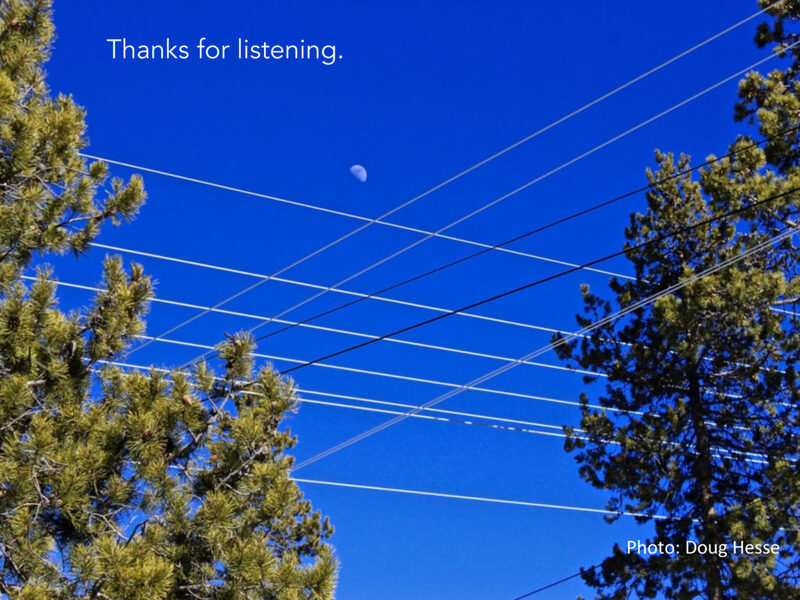 My piece, which included car repairs, hiking, the YMCA of the Rockies, Woody Harrelson, and the picture below, showed up June 27, 2018. In deference to the website, I’m not reproducing it here, so go directly to the Essay Daily page to read it. Higher education has discovered teaching. There are, surprise, students in classrooms, and students are, just maybe, complicated subjects. There are, surprise, ways of teaching beyond having students listen, read, and report. There might be, surprise, some need for college teachers to know theory and research on teaching. And just maybe this knowledge and experience and ability could actually count in tenure and promotion. People who have discovered all these things range from deans to trustees to, even, a recent president of the Modern Language Association. This last person declared in a July Chronicle of Higher Education article that, “Everyone complains these days that we don’t train graduate students to teach, but no one ever seems to do anything about it” (Elaine Showalter). Apparently, “no one” includes the hundreds of writing program directors around the country who for decades have mentored new teachers, led preservice workshops, taught courses in composition pedagogy, published articles on teaching writing. I repeat her claim: “Everyone complains these days that we don’t train graduate students to teach, but no one ever seems to do anything about it.” In contrast, this author has been brave, has forged a new path through the virgin pedagogical wilderness of English studies; her bibliographic breadcrumbs are twelve books, all of them generically about teaching, only one (by Jane Thompkins) even from the broad field of English studies. One speculates that, for this writer, publishers like NCTE or Boynton/Cook Heinemann do not exist. By you have caught my tone and rightly fear that you’re in the presence of a polemic. So let me get the worst out of the way and put my argument in a nutshell. As departments, colleges, institutions, and governing boards “discover” teaching, they are like Columbus discovering America, replacing cultures of teaching that already exist, especially within composition studies. New sites for the promotion of pedagogy emerge, things like Centers for Teaching Excellence. General education reforms address not only the “what” of course requirements but also the “how” of pedagogy. Leading many of these efforts are writing programs and their directors, who after all have long lived on the land of teaching. I liken us to Squanto, the “good Indian” from my sixth grade social studies class, who helped the Mayflower Pilgrims, people so clueless they didn’t know enough to toss dead fish or manure among the planted corn. At least that’s what I remember. But even as writing programs show their savvy and warm hearts, I fear that our leadership will ultimately go unrecognized or forgotten. To put it most strongly, because of the historical devaluation of writing programs, the knowledge of teaching located within those cannot count as “real” knowledge. At several “prestigious” universities either there is no freshman writing requirement or there is no extensive development program for those assigned to teach in it. If you are a notable personage within English studies who happens to teach at such an institution, it is relatively easy—and extraordinarily self-interested—to declare that “no one ever seems to do anything” about teaching. The recent celebration of teaching, then, ironically functions further to marginalize composition studies, whose historical identity has been entwined with pedagogy. At this point, I know I should qualify things. What is the difference between PhD-granting and non-PhD granting institutions, between historically strong and active writing programs and mere place holders, between large schools and small? How do arguments about abolishing the universal freshman writing requirement intersect with this general education reform? And, most importantly, why should we care? I mean, is it just a matter of ego that that composition studies should get credit for having been concerned about teaching apparently long before other disciplines have been? I’ll tell you why I do care, but I’ll do it obliquely, focusing on just one site of contention, the increasingly emergent freshman seminar courses. By the mid 1990’s, over 720 American colleges and universities offered some kind of freshman seminar. These seminars fall into four main types. The most common are “extended orientations,” usually for one credit, and concentrate on advising, introducing campus resources such as the library or counseling center, exploring careers and so on. A second type of seminar deals with basic study skills: time management, campus policies, note taking, and so on. The third and fourth types are broadly characterized as “academic seminars,” usually three or more credit courses concentrating on some interdisciplinary topic, perhaps including some orientation or study skills components but really focusing on a theme or issue. Such seminars have been around for decades, especially at liberal arts colleges. Sometimes they exist in conjunction with required composition, sometimes instead of it. A liberal arts college about a dozen blocks from my own office discarded freshman writing a few years ago, for complex reasons including a perception that not having freshman writing enhanced the prestige of the place. What I now find interesting, though, is the slow movement at some larger universities to institute such courses. There are complicated reasons why, but I want to sketch three of them. The first is a movement channeled through organizations like AAHE and AAC&U to improve the quality of the undergraduate experience. 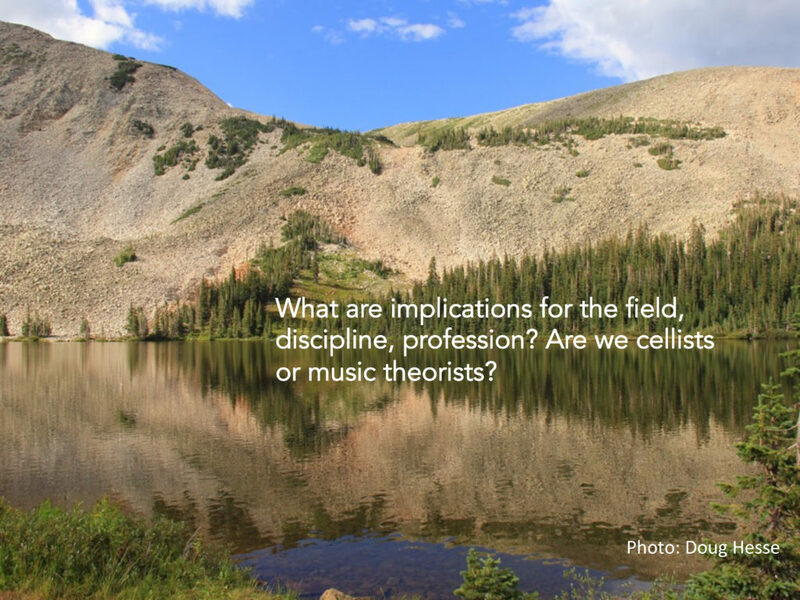 Calls for student-centered classrooms, interactive inquiry-based learning, and process-directed teaching are familiar to us in composition studies. Their motivations are a mix of intellectual altruism, yes, but also an economic pragmatism whose fuels are retention, legislative and governing board funding, and a suspicion of “lazy” professors who ought to teach more to earn their keep. “The freshman composition course should relate to other classes taken simultaneously and be given serious intellectual content, or it should be abolished in favor of an integrated writing program in all courses. The course should emphasize explanation, analysis, and persuasion and should develop the skills of brevity and clarity. . . . Writing courses need to emphasize writing ‘down’ to an audience who needs information, to prepare students directly for professional work” (25). Now, this is quite a remarkable recommendation. I could say much about the view of writing embodied here, especially the utilitarian values signaled by brevity and clarity and the view of writing as transmission and the direction of that transmission as always down. Apparently for the authors of this language, the values do not clash with the call for “serious intellectual content” and the implied need at least occasionally to write to knowledge peers and experts. But more pertinent is the claim that freshman writing courses must depend on other courses because they lack serious intellectual content. I’ll acknowledge that courses at some schools do, usually because they are grounded in some untheorized curriculum of hyperformalism, the modes of discourse, or discrete arhetorical skills. But the statement implies that such is the current general state of freshman writing. More subtly the statement raises questions about the nature of “content.” Can the knowledge and practice of rhetorical strategies constitute “real content?” For the Boyer commission, the answer to this old question is apparently no. These assumptions align with a second joist for freshman seminars. Various writers have called for tempering large freshman lectures with at least some small, interactive courses. Yet the freshman writing class, which has performed such a role for decades, seems now not to count. Partly this is because writing courses presumably lack “serious intellectual content.” Partly this is because the presumably lack “real professors.” The vicious circle of this reasoning we all know well. 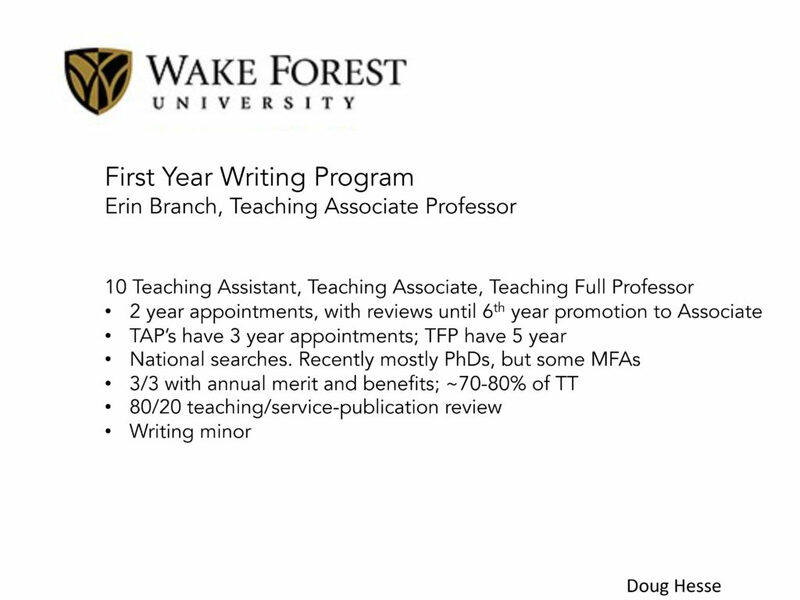 Anyone can teach freshman writing, including faculty spouses, graduate assistants, and itinerant part-timers. 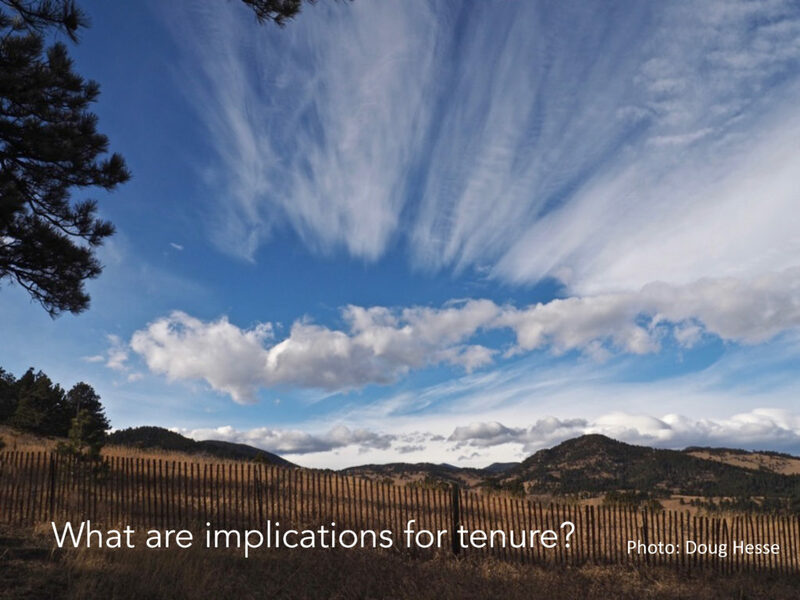 The economic reasons that drive institutions to staff composition adjunctally demand that they view writing as teachable by many, unless those institutions want to be overtly cynical. Ironically, the actions of many of us who direct writing programs support this assumption. We declare the success of our training programs, justify our curricula and policies to colleagues and students, write program assessments. An even deeper irony is that as writing directors embrace alternative staffing models in the name of economic fairness, most notably in two-tiered arrangements, they buttress assumptions about writing as the work of academic primitives. 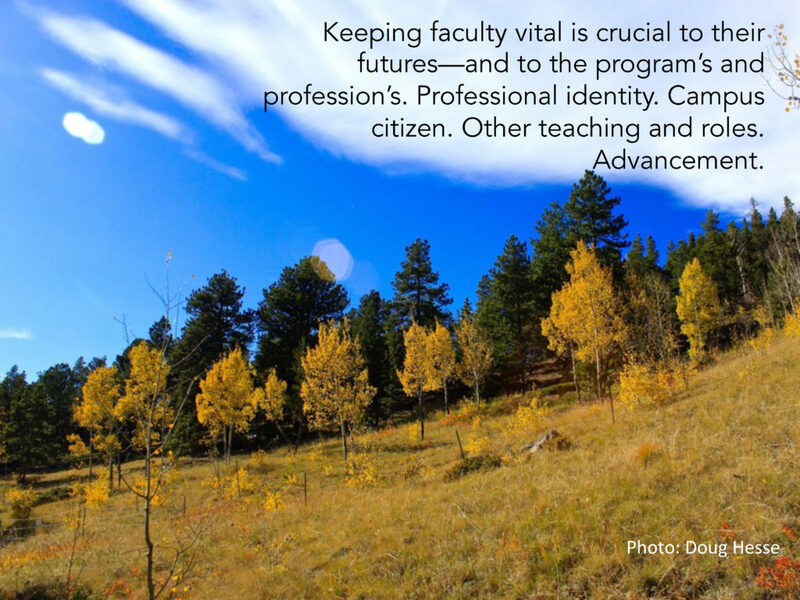 But what do faculty want to teach? This brings me to a third joist of the freshman seminar movement. Mostly they don’t want to teach writing courses as writing courses. Given several circumstances who can blame them? Except for those graduate students working centrally in rhetoric and composition studies, most continue to know little of the professional literature concerning writing and its teaching. A few may hedge their job market bets by banking a course or two, and many have experienced good TA training programs. Still, interest and respect for teaching writing is proportional to knowledge about the field. I do extensive consulting and program evaluation and regularly meet English faculty of enormous commitment and good will who nonetheless find teaching writing pure drudgework. Locked in the modes of discourse or paragraph patterns, they see the courses as important but ultimately without a single consolation. In response, some liberal arts colleges have perhaps become bellwethers. 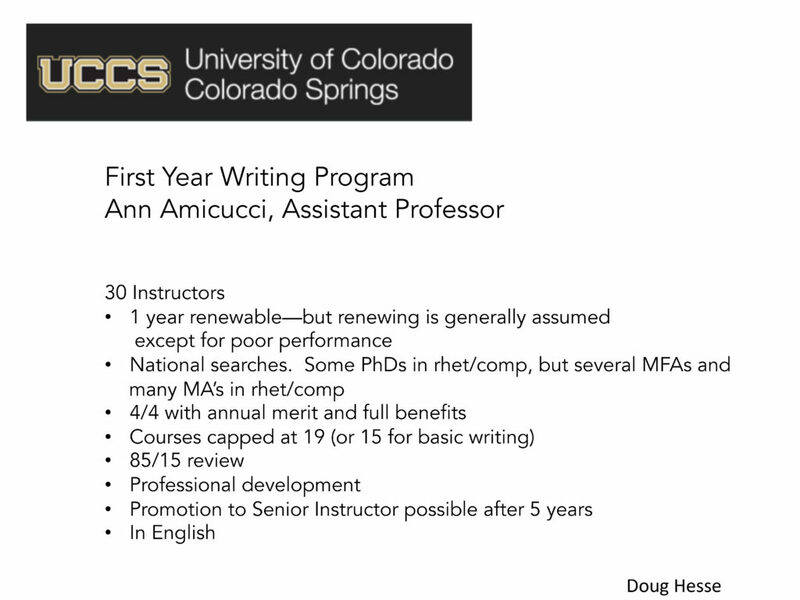 Having no teaching assistants and having English faculty primarily trained and hired in literary studies, with perhaps one writing specialist who may or may not be tenurable and who may be in a writing center and not a department, those colleges may have little beyond tradition to support freshman composition. Alternatives like seminars, ostensibly writing intensive, have every appeal to the faculty who would teach them and to the administrators who recognize staffing flexibilities and course titles alluring to students. Lord knows they appeal to me, too. Consider a scattered set of titles: “The Nature of Wisdom,” “A Genealogy of Freedom,” “Gender Issues in Sport,” “Time in Contemporary Music,” and so on. 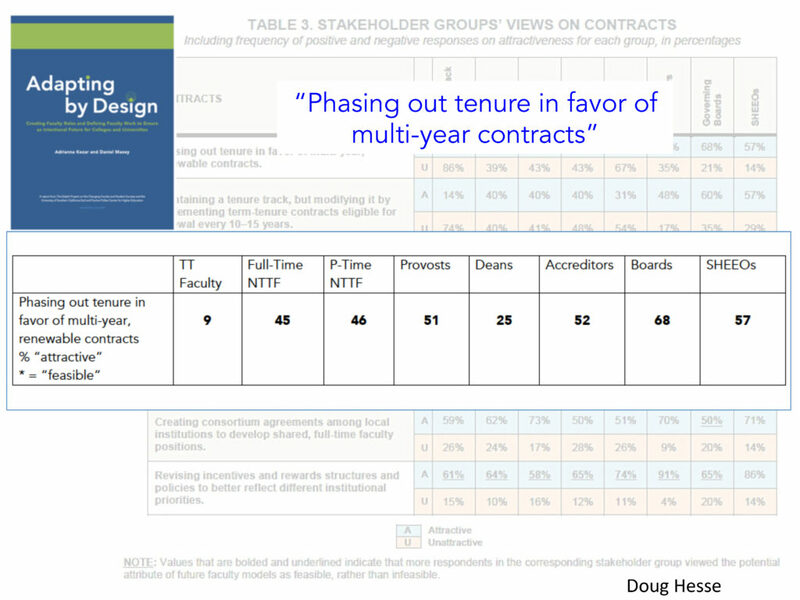 At a September meeting in New York on staffing in English, several of us agreed that departments were going to get more tenure line positions only if permanent faculty demonstrated a commitment to teaching freshman. As a corollary, Jim Slevin argued that faculty would willingly teach writing only if those of us in composition studies backed off from the true doctrines of the writing faith and let teachers follow their own interests. Topical freshman seminars do resonate with curricula like Bartholomae and Petroskey’s “Ways of Reading” or Bizzell and Herzberg’s “cultural cases” or any number of post process courses. 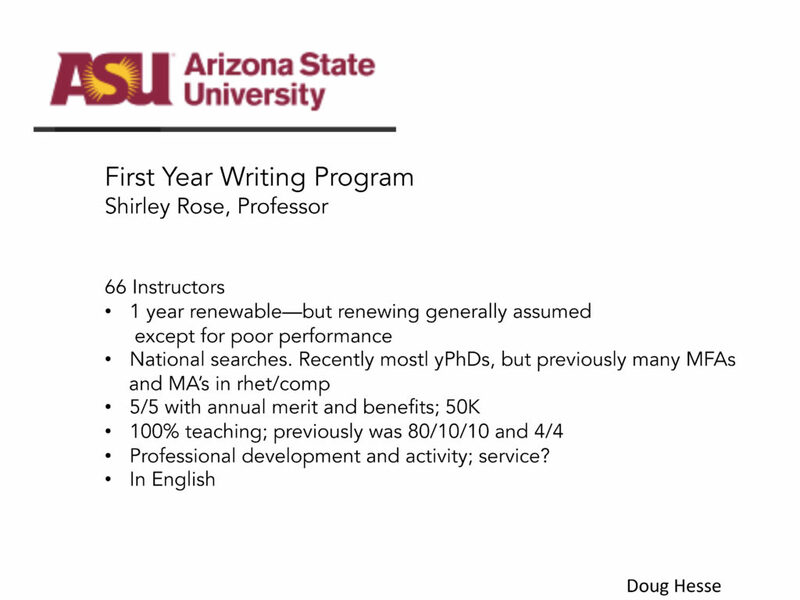 But there is a significant difference between a “writing intensive” thematic seminar taught by a well-intentioned faculty member whose training consists of some faculty workshops and the same seminar as taught by someone with a professional interest in teaching writing. I wonder, though, if the difference is as substantial as it once was. When I read a version of this paper at the MLA meeting in Chicago, Susan Miller raised a concern that neither new rhet/comp PhD’s nor old 4C’s sorts seemed much interested these days in teaching undergraduate writing. I’ve had this conversation several times in the past year, and what I think those of us who feel this way sense is a shift from writing as craft–the generating and shaping of texts for reasons aesthetic and rhetorical, grounded in linguistics–to a view of writing as a cultural phenomenon. 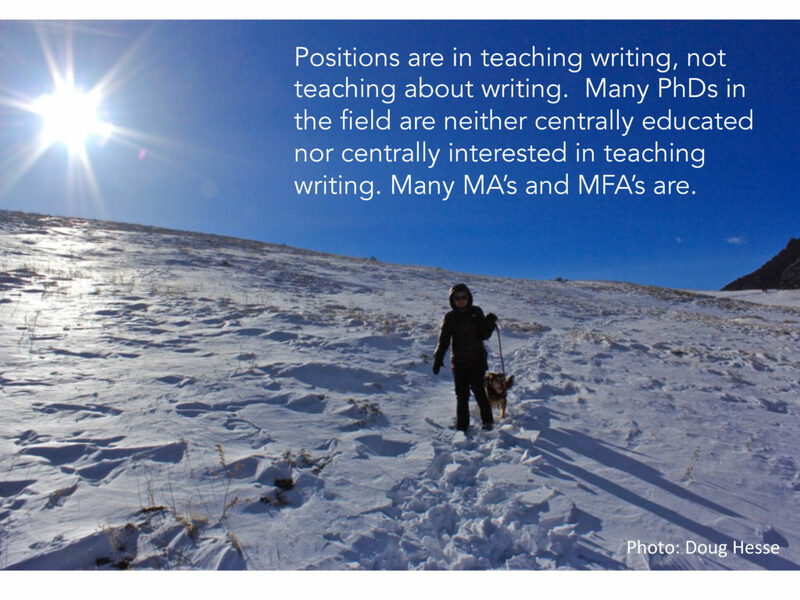 Our graduate programs increasingly focus on what writing means rather than how writers work. I admit that mine are likely the nostalgic concerns of a generation of writing teachers schooled in the late seventies and early eighties. I note with irony that my own remarks perform the very deferral that concerns me, exploring meta issues of disciplinarity rather than being “really” about writing. As a result of these forces, bolstered by recommendations about the nature of the freshman year, abetted by critiques of required composition from within composition studies itself, freshman seminars emerge as a way of enacting several new pedagogies: critical thinking, active learning, faculty/student process interactions, peer work, inquiry, scaffolded and sequenced assignments, all in the venue of a small course. The list is familiar to writing teachers. One way to look at this development is as the ultimate triumph of composition studies. The end of composition thus parallels Fukuyama’s declaration of the end of history, with the triumph not of democratic liberalism but of pedagogies midwifed in rhetoric and composition. In this view, the fact that composition courses might disappear for reasons of economics and redundancy would be of no concern because its values will have suffused the academy, become a spectral star child of higher education, giving up its mortal body like Bowman at the end of 2001: A Space Oddysey. But that is not my view. I want to be clear about two things. First, I am not complaining about academic freshman seminars. I like them. I do fret about their diverting resources from writing programs, but that’s beside the larger point. Second, I have mixed feelings about the inherent desirability of mandatory freshman composition, especially as the course is likely to be positioned and staffed for the foreseeable future. My concern is that composition’s knowledge about and commitment to teaching has been variously ignored and colonized. Perhaps, in the institutional psychology of general teaching improvement, no discipline can be perceived as having a lead; perhaps for the good of some manifest whole, faculty must imagine they are collectively inventing for the first time ideas about the nature of learning and the role language plays in it. Perhaps I should just smile slightly when colleagues across campus tell me about double entry notebooks or microthemes or writing as epistemic. Perhaps I should say thank you to the distinguished professor in my department who, teaching a freshman seminar for the first time, announces two wonderful discoveries, the portfolio and Stephen Toulmin, even as she urges her graduate students to do whatever they can to avoid teaching English 101. But when senior spokespeople for English studies, people who by virtue of status and affiliation can command space in the Chronicle or at last spring’s summit meeting on PhD programs, declare that “Everyone complains these days that we don’t train graduate students to teach, but no one ever seems to do anything about it,” I resent it. How dare they? When such statements represent the whole state of English studies to the academic and secular world—and they do—they push composition studies ever further from higher education’s fertile river valleys of funding and prestige. As compositionists shuffle westward we may console ourselves in the cultures that grow behind us. Or we may stay and participate in something new. The Pawtuxet Tiquantum, renamed Squanto, was kidnapped from his tribe and taken to England in 1605. He lived there until John Smith brought him back to American in 1614. But he was kidnapped again, brought to Spain, sold into slavery, then escaped to England and joined the Newfoundland company. He returned to North America in 1619. By then, his tribe had been killed by disease. He joined the settlement at Plymouth in 1621, where both his agricultural knowledge and fluency in English made him useful, especially to William Bradford during negotiations with the Wampanoags. Tisquantum died in 1622. My sixth grade social studies textbook didn’t tell the story quite that way. With five minutes and 800 words, I’m going to proceed Martin Luther-like, not nailing 95 theses to a Wittenberg church, but rather thumbtacking ten to a Hilton podium. Certain strata of composition professors are becoming rather like the literature professors we castigated of yore, focusing more on studying about writing and less on teaching writing per se, more on directing how others teach in FYC or WAC or whatever. Thirty years ago, Bob Scholes sketched Cartesian coordinates for English studies. The X axis charted texts. The Y charted activities. Scholes’ axes made four hierarchized quadrants: reading literature, reading nonliterature, writing literature (aka creative writing) and writing nonliterature (aka composition). The last Scholes waggishly called writing pseudo non literature. It was a hierarchy he regretted and sought to change. Since then, creative writing and composition have both ascended, even triumphed. Production has gained favor for students who increasingly want to make, not consume, perceiving careers, skills, or interests in writing that they don’t in reading. My program’s Minor in Writing Practices requires a couple theory courses and several applied in writing, creative writing, journalism, and so on. We have triple the number of students we projected. At the same time, composition’s historical commitment to pedagogy, assessment, and applied research has new campus status. Composition and creative writing had a chance to be better allies, but mostly they’ve traveled different roads. In the late 80s and early 90s, creative writing decided to sponsor nonfiction and literary nonfiction precisely as composition studies abjured the aesthetic and belletristic. Composition has suffered from a few excesses in its rise, including most famously a hyperextended fixation on formalism. But one has been a hyper-projection of “rhetorical situation.” Not every writing responds to exigency or should. Hugh Blair’s Rhetoric and Belles Lettres explores how to achieve affects with words, effects aesthetic and inventive as importantly as rhetorical and reactive. Kenneth Burke knew that sort of thing, too. Some colleagues in rhetoric and composition studies these days are finding something new: Narrative! Story! Puhleeze. It’s embarrassing, like Hernando DeSoto finding the American West. Story has been there all along, including before logos and academic discourse became rings to rule us all. At the same time, poets are discovering “the lyric essay.” Puhleeze. They might take a peek at Charles Lamb’s “Old China” or Virginia Woolf’s “Old Mrs. Gray” or E.B. White’s “Spring.” They might take a look at Bob Scholes and Carl Klaus’s chapter on “The Essay as Poem,” in The Elements of the Essay. Maybe I’m just a geezer, who studied writing in an odd time and place, the 1970s at Iowa when taking expository writing with Carl Klaus meant trying to emulate Joan Didion’s strategies (albeit with a fraction of her brain), when a textbook was Walker Gibson’s Tough, Sweet, and Stuffy. While Scholes was publishing Textual Power, Steve North was writing The Making of Knowledge in Composition. Steve factored composition research into several categories but two main traditions, those grounded in the social sciences, using measurement or experiment to yield coding and statistical analysis vs. those grounded in the Humanities, using description or textual analysis to yield interpretation or narrative. With practitioner lore, North invoked a third tradition, the artistic, though he focused on teacher’s experiences of “what worked” or “what was said to work,” rather than on writers’ trying to figure out and explain how they wrote. There is writing knowledge derived from study and writing knowledge derived from experience. Creative writing prizes the Paris Review interviews, craft essays in literary magazines, author conversations after readings, prefaces, review essays. Creative writing theory comes as embodied practice, writers reflecting on what they do and why. It’s a knowledge of particulars, flakes of mica rather than granitized slabs. In fact, when preceptivized, writer knowledge seems silly. Show, don’t tell and all of that. 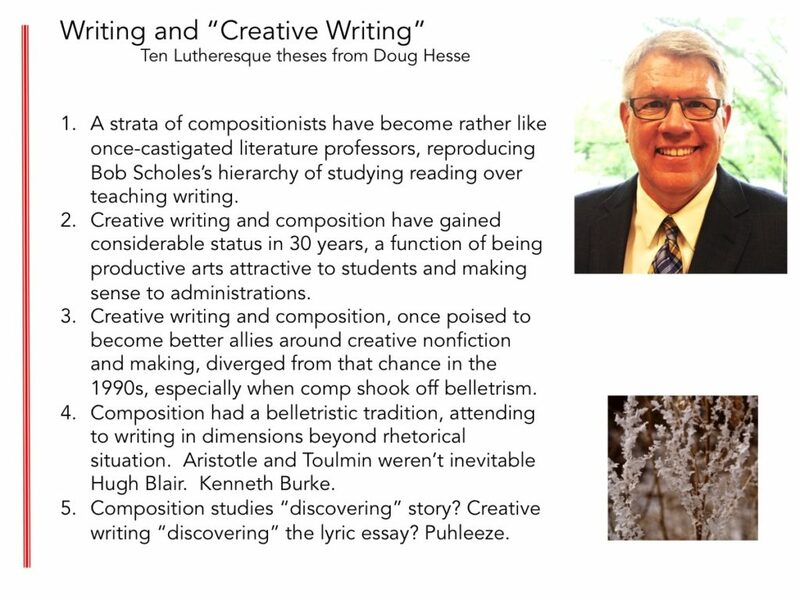 Of course, there is a still-fledgling field called creative writing studies, which aspires to be for creative writing what composition studies is to composition. Writing teachers should at least now and then write things we teach. Novelists and journalists and essayists practice that. Not so much compositionists. Oh, sure writing is multitudinous: syllabi are writing and reports are writing and grading is writing. But composition teachers should be writing commentaries and op eds, essays and articles, pieces that nonprofessors might read, profiles of people and places, popular criticism, the whole shebang. Writer teachers might build their own craft and repertory. 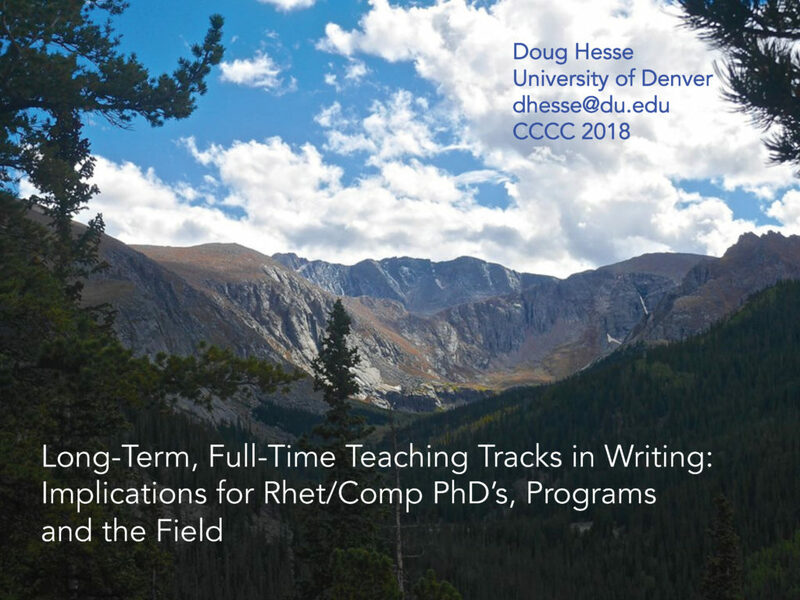 Rhet/comp graduate students might do a fiction or poetry or creative nonfiction workshop. Of course if those compositionists who do teach writing (that is, those not in the discipline-making caste) really do want to teach academic discourse, then writing academic discourse will suffice. But composition studies should have a bigger vision than teaching students how to write papers for other classes. 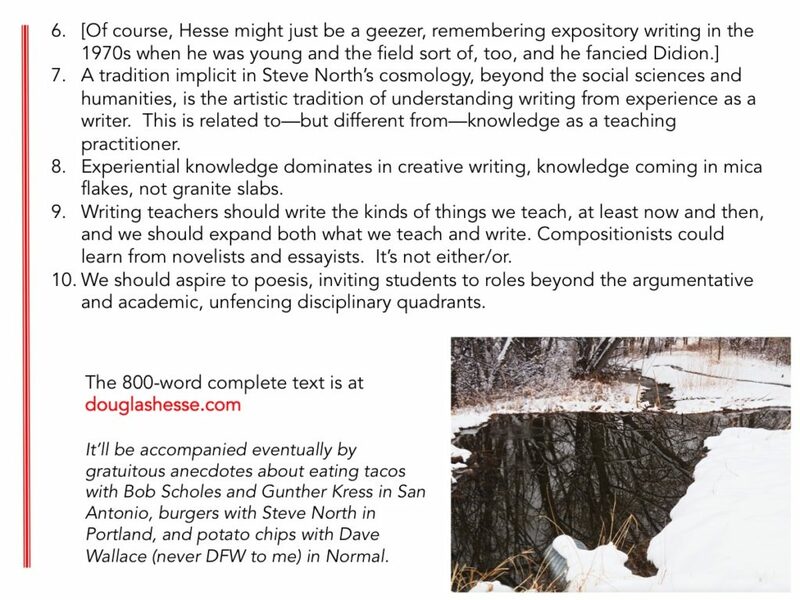 I wish we were better comingled with creative writing, jointly aspiring to poesis, to inviting students to write in landscapes less fenced into disciplinary quadrants. As our leading newspapers are wont to do, The New York Times published a semi-informed piece (better than most, actually) about the teaching of writing. I sent the following letter to the editor three days ago. I’m not holding my breath for publication at this point, so I figured some other folks might see my 150 to 175 word take. I wonder when the Times might publish an article on treating migraines that advises both Imitrex and trepanation. That was my question after reading “A Wakeup Call on Writing Instruction” [August 2], which gets so many things right—and other things wrong. Dana Goldstein aptly insists that teachers must know best practices in writing instruction. The National Council of Teachers of English statement Professional Knowledge for the Teaching of Writing distills fifty years of research to those ends. And yet the article gives voice to an approach found wanting since 1963. That’s when Richard Braddock’s comprehensive review of empirical research concluded “The teaching of formal grammar has a negligible or. . . even a harmful effect on the improvement of writing.” Twenty years later, in a similar analysis, George Hillocks reaffirmed, “Every other focus of instruction. . . is stronger.” Studying grammar has some role in learning to write, but so–and more productively–does learning how to generate and organize ideas, how to fit content to specific purposes and readerships. It’s a complex interplay between parts and wholes. The teachers that we rightly desire will know better than to start by drilling adverbial holes into skulls. On January 3, 2017, The Chronicle of Higher Education published an article I wrote, “We Know What Works in Teaching Composition.” http://www.chronicle.com/article/We-Know-What-Works-in-Teaching/238792/. The version that was eventually published had benefited from editing by Denise Manger, at the Chronicle, and by Jenna Fournel at NCTE, whose helpful, expertly ruthless chopping helped cut the original draft more than a third. I thought some readers (especially writing teachers) might find it interesting to compare my original version with the published version; among other things, there’s an example of what gets cut (and probably should!) in moving to a broader audience. I submitted the piece to the Chronicle in October, shortly after Professor Teller’s piece had appeared. Within two or three weeks, I’d received an email that they’d like to publish it; then there was a long delay. In mid-December I received a copy edited version, with a notice the piece would appear in the January 3 issue. Anyway, for the amusement of a select few, pedagogical and otherwise, I offer the original draft. I’m happy with the version that was published. When I came to The University of Denver in 2006, to start a new campus writing program, I frequently heard from faculty that “a lot of my students can’t even write a decent sentence.” So, when I read Joseph Teller’s recent assertion that “my students can’t write a clear sentence to save their lives” (Chronicle, October 3, 2016) I recognized hyperbole when I saw it. My response ten years ago, joined by my twenty new colleagues in the program, was to gather a corpus of 500,000 words of student writing, from classes across campus, then analyze them for error. We found that well over 90% of those sentences in fact coded clear and error free. Whatever my colleagues wanted in better student writing (and I surely acknowledged and valued their desire), it was clear that fixing sentences wasn’t going to do it. There were larger issues of idea development and deployment, matching disciplinary expectations, and so on. That we could work on. Professor Teller’s claim joins a long lineage of complaint about the state of student writing. In 1878, Adams Sherman Hill, Boylston Professor of Rhetoric at Harvard, famously protested that “Everyone who has had much to do with the graduating classes of our best colleges has known men who could not write a letter describing their own commencements without making blunders which would disgrace a boy twelve years old.” Hill and others devised pedagogies grounded in their own experiences and common sense—though one man’s common sense was another man’s folly. Teaching grounded in actual research took a scholarly turn in 1950, marked by the founding of the Conference on College Composition and Communication and the leading journal in the field, now in its 65th year. By 1963, research on what worked—and what didn’t—in teaching writing had accumulated to a point of synthesis in Braddock, Lloyd-Jones, and Schoer’s Research in Written Composition. In 1986, George Hillocks conducted a new meta analysis (Research on Written Composition, the title differing by a preposition), using studies published in the intervening twenty years. In the subsequent two decades, peer-reviewed research has accumulated in dozens of books and well-established journals including College Composition and Communication, Written Communication, College English, The Journal of Teaching Writing, Teaching English in the Two Year College, Composition Studies, Writing Program Administration, and The Journal of Writing Assessment, to name but a few. In a 2005 article in Research on the Teaching of English (“The Focus on Form vs. Content in Teaching Writing”), Hillocks analyzed why formalist approaches—the kind that Professor Teller advocates—remained so popular despite overwhelming empirical evidence that they were significantly less effective than other approaches. 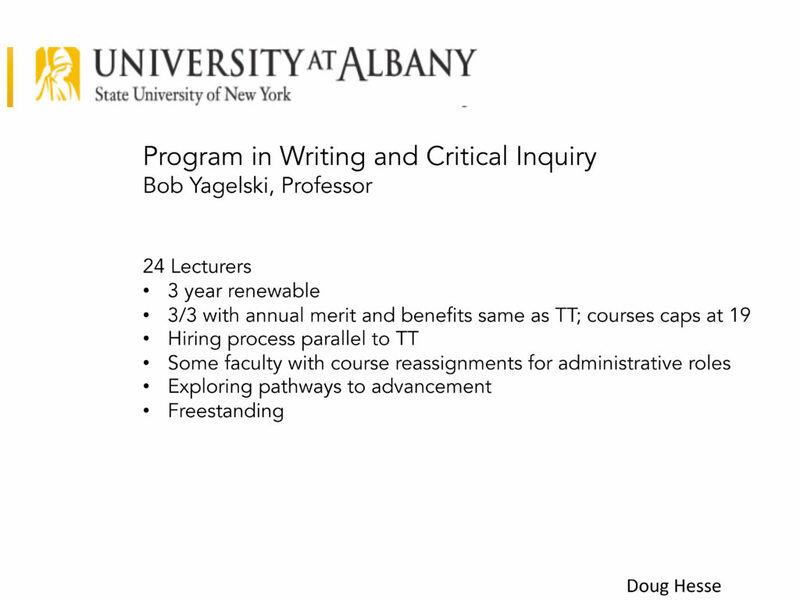 What does the scholarly literature say about college writing pedagogy? In a passage now familiar to PhD students in composition studies everywhere, Kenneth Burke wrote: “Imagine that you enter a parlor. You come late. When you arrive, others have long preceded you, and they are engaged in a heated discussion, a discussion too heated for them to pause and tell you exactly what it is about.” Following Burke’s analogy, it’s reductively daunting to recount, for colleagues outside the field in a single brief article, the lines of argument and research in the teaching of writing developed over past 70 years (or the past two millennia, if one wants to go to precepts and practices at the field’s roots in Greek and Roman rhetoric, grammar, and dialogic). 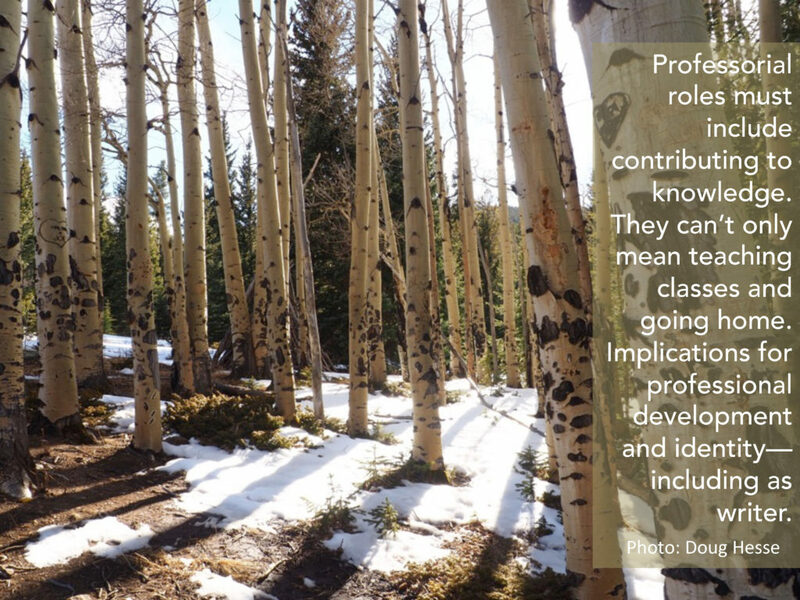 In Naming What We Know (Utah State, 2015) Linda Adler-Kassner and Elizabeth Wardle gather the “threshold concepts” of writing studies—“the concepts that are critical for epistemological participation” in current scholarly deliberations on composition studies. Pedagogical traditions more specifically are outlined in Tate, Taggart, Schick and Hessler’s A Guide to Composition Pedagogies (2014, Oxford), the latest in a long series of such analyses (for example, Donovan and McClelland’s 1980 Eight Approaches to Teaching Composition (NCTE)). My simple point is that the teaching of writing happens—or should—within a deep field of practice, theory, and research. It’s also an enterprise marked by a fair amount of what Steve North, in The Making of Knowledge in Composition (1987, Southern Illinois), called “lore.” Lore consists of teaching ideas and assumptions grounded in local experience (“what worked for me”) and passed along informally for the most part. Lore may be informed by research, and thus transmutable and generalizable, but it more often is not. It may be consonant with research practices, but that’s not its measure, and it frequently is not. North regarded lore with respect but also noted its limitations. Professor Teller’s Chronicle essay participates in the tradition of lore. Not having been in his classes or having read his students’ work, I can’t judge his local experience, but I can judge how well they represent national practices. For example, while his assertion, “Substantial revision doesn’t happen in our courses,” might speak for his own classroom, it surely doesn’t speak for mine or thousands of other professors’. Or consider his claim that students “do not use the basic argumentative structures they need.” Again, perhaps true of the students in Teller’s own classes—though, as in the case of the hyperbolic assertion about his students’ sentences, I’d need to see the evidence. But the broad claim is unsubstantiated by my experience, research on my campus, or by the wider literature in the field. If anything, students come to college armed with (even frozen into) a basic argumentative structure: thesis and support, assertion and evidence. If Teller had claimed, rather, that students don’t martial evidence as effectively as they need to, we’d have a starting point for discussion. But he doesn’t. Where Teller departs most from actual scholarship in the discipline is his claim that “pedagogical orthodoxy” assumes that “composition courses must focus on product, not process.” He could hardly be more wrong. The two most dominant pedagogies in college composition today intricately mix process and produce. Genre approaches have students analyze and emulate conventions as they’re manifested in texts for different contexts, readerships, and discourse communities. (See Bawarshi and Reif, Genre: An Introduction to Theory, History, Research, and Pedagogy (2010, Parlor).) Rhetorical approaches teach what constitute evidence, reasoning, structure, voice, so on for different audiences and purposes, academic to public. Both approaches use readings for content, certainly; college writers have to locate their ideas and arguments in relation to published sources. But both approaches use readings as examples of approach and strategy. Both teach analyzing the decisions that writers have made: what evidence, what reasoning, what organization, what tone, what assumptions about readers, and, crucially, why for a given writing situation and readership. They do this analytic work to develop the repertory of strategies that student writers can employ. The key word here is practice, and on this point Teller and I surely agree. Students learn to write by writing, by getting advice and feedback on their writing, then writing some more. What can be told to college students about writing can probably be encapsulated in a lecture of two or three hours. It parallels what meaningfully can be told about playing piano: music notation, the relationship between notation and keyboard, hand and finger placement, posture, pedal functions. But without sustained practice, the world’s best lectures will not—cannot—make a pianist. So, too, with writing. When might we declare that someone can “play piano?” When they can play Chopsticks? “Go Tell Aunt Rhodie?” “Für Elise?” “Take Five?” Rachmaninoff’s “Piano Concerto 3 in D Minor”? As students progress through school and college, teachers and professors reasonably assign them new writing tasks, related but different, requiring similar but new strategies, with similar but new subject matters and contents, for related but increasingly more specialized and demanding reading communities. The kinds of abilities that aptly serve us in fourth grade won’t suffice in high school, high school not college freshman year, freshman year not a senior thesis in the major, the major not graduate school. We should expect writing repertories to continue developing throughout college and beyond, as Joseph M. Williams famously analyzed in a body of work about stellar undergraduate writers struggling in law school and stellar law school grads struggling in firms (see, for example, “On the Maturing of Legal Writers,” 1991, in The Journal of the Legal Writing Institute). How to teach writing for transfer across time and domains has been a focus of research in the field; for a recent book, see Yancey, Robertson, and Taczak’s 2015 Writing Across Contexts. 1. Students have ample opportunities to write. Professors expect them to write frequently and extensively, demanding and rewarding serious effort. 2. Professors carefully sequence writing tasks in ways that build from existing writing experiences and abilities to scaffold new ones. 3. Professors coach the process, giving feedback, offering strategies and advice, encouragement and critique, formative and summative assessments. Some of this coaching is perforce individualized, based on the skilled assessment of what this particular student needs at this particular time. 4. Courses provide instruction and practice on all aspects of writing. Attend to the form and conventions of specific target discourses? Yes. But also attend to issues of invention: how to generate content, not just how content should be deployed. Attend to grammar and style? Certainly, but also to logic, accuracy, and fit to various audience needs and expectations. The longstanding scholarly critique of “current traditional” approaches (a technical term in the field) is that they focus on imitating disembodied modes and models chosen primarily for instructional convenience. 5. Courses use readings not only as context and source materials (which is vital in the academic and civic spheres) but also as models—and not only static models of form but also as maps to be decoded as to how their writers might have proceeded, why, and to what effect. 6. Professors teach key explicit concepts about writing in order to help writers consolidate and transfer skills from one writing occasion to the next—but they recognize that declarative knowledge is made significant only through practice and performance. See #1. 7. Student writing and student writers are the course’s focus. Everything else serves those ends. In pointing to the best teaching practices indicated by extensive research in composition studies, I don’t ignore the experience of individual teachers in particular situations. Lore is a form of knowledge in every field. Certainly, I could learn from Joseph Teller’s more detailed explanation and defense of his pedagogy and a systematic analysis of the student writers it develops; a fuller exploration of his class would contribute to disciplinary knowledge with which it can responsibly interact, even inflect. However, I can’t let pass unchallenged general claims about the way “we” are “wrongly” teaching composition, especially when they so dramatically misrepresent, even ignore, the field he would aspire to correct. My talk begins in sorrow and ends in hope. It starts with a blunt question: “How do we teach reading and writing at a moment when traditional assumptions about the effective use of language seem so naïve, so wrong?” How can we possibly teach when evidence and reasoning, eloquence and ethics seem utterly optional? Let me be concrete. Consider a picture taken November 7, by Reuters photographer Jonathan Ernst, in Minneapolis. It contains a multimodal composition, consisting of T-shirt and six words in American Typewriter font, white and red, caps and lowercase: “Rope. Tree. Journalist. 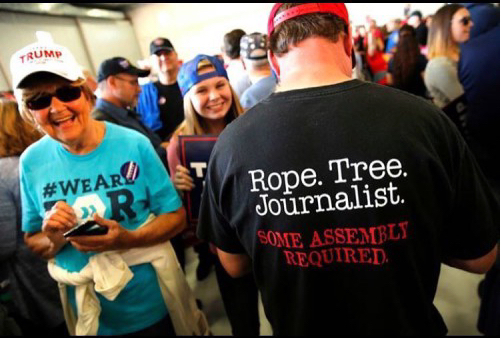 Some assembly required.” These six words, and a host of similar tweets, memes, blogs, spray paints, stickers, and so forth have apparently been as effective as editorials, articles, and extended analyses. Here’s the deal. I’m the father of two journalists. This shirt implies lynching my daughters. You may say, “Now, calm down, Doug. It’s just words, just humor. Paige and Monica are safe.” But I can’t assume that some mentally twisted Timothy McVeigh-grade patriot isn’t emboldened by declarations that writers deserve death. In July, I was in Munich, where I saw an exhibit filled with posters and written artifacts from that city in the 1930s. But let me suppose that this shirt is “just words,” just a guy havin’ some fun, to the delight of onlookers, near and far. That suggests two conclusions that are fairly chilling to teachers . Conclusion 1: We live at a time where more than a few citizens deem it reasonable, even desirable, not only to censor, but even to suppress information. Or Conclusion 2. We live at a time where language is perceived to have no necessary relation to reality. How can we not be cynical? How can our students not find thesis and support but a quaint custom of schooling? I loathe false distinctions between the academic world and the real world, but the school world does look like reason, with patient lessons against logical fallacies. The real world, in contrast, is pathos, where truth matters less than results. I want to be clear what I’m talking about, which is the state of language and not about elections or the state of politics, per se. I leave that to George Orwell. I’ll just say that whatever our individual views, we collectively can’t help but feel lost after the past year’s discourse. The National Day on Writing, created by The National Council of Teachers of English and designated by an act of Congress, is October 20. Many campuses hold writing-related events that day. Following are some people have shared with me. This year we are planning on setting up a “Why I Write” photo booth on the campus mall. We will have people write why they write on a big sheet of paper, pose with it for a photo, and then encourage them to tweet that photo at NCTE (or give us permission to do so). We’ll set up an interesting background for the photos or a big frame for them to stand in. Last year we asked people to write reasons they write on small colorful pieces of paper, then “quilted” those together into a large art piece. We’ve been able to hang these quits at other events we host. We also have used sidewalk chalk, notecards, etc. We always set up a booth on the campus mall for these activities. We have several contests going on, and we’ll have a 4-hour drop-in event with decals, pens, snacks. We have a few things planned: we have permission to take over the University’s Instagram account for the day and will post #WhyIWrite pics throughout the day, we will have a Post-It party at the Union from noon-2:00 on 10/20 in which students will be asked to contribute via a Post-It to a collage on the Union’s windows around the #WhyIWrite hashtag, and from 2:00-3:00 we will host an all-university write-in on the Quad with food and drink provided. This year we are hosting an outdoor postcard writing campaign. We are going to invite people to write letters on the postcards to real or made up people, featuring real or made up events, based on the photo/image on the postcard. We will then display the postcards in the English Department following the event. CSU-Pueblo and its Center for Teaching and Learning will host a week of writing and create a “Humans of CSU-Pueblo” Facebook page. The week of writing will start with a workshop led by Dr. Genesea Carter from the University of Wisconsin-Stout. CSU-Pueblo students will then interview students, faculty, for the “Humans of CSU-Pueblo” page. The University of Denver has a campus-wide “One Book/One Prompt” activity this year, led by the writing program, in which all faculty, staff, and students are invited to respond to a single invitation: a time when they encountered something strange, foreign, or new. We’re holding a showcase event, “Encountering Stories,” October 19, from 5:00 to 7:00 pm. 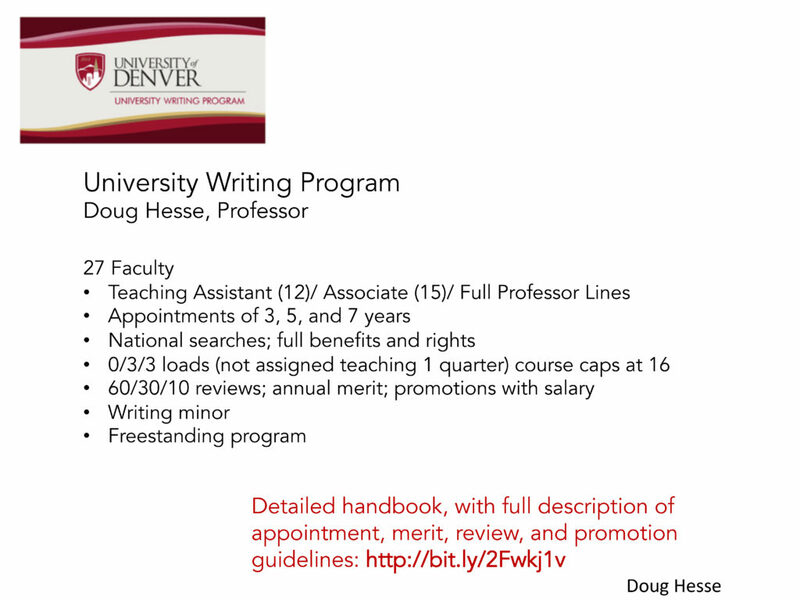 See the Writing Program website at http://www.du.edu/writing/. On the day itself, we’re setting up a photo booth; passersby will jot “why I write” on a sheet of paper, and we’ll photograph them holding the sheet. We’ll tweet out those who give permission, and we’ll make a collage of everything. We are planning two events, both focusing on “Writing as Healing.” The first is an interactive workshop featuring speakers who will share their experience of Writing as Healing and offer writing prompts for participants; in addition, University-sponsored groups will provide opportunities for students to consider how writing can promote social justice, humanitarian efforts, and personal growth. The second event is a reading/panel discussion featuring faculty members and grad students (who are also working writers) sharing their work and discussing the connection between writing and healing on any level. We will host mini-workshops around the theme “Writing As Healing” during the day, followed by an evening reading featuring first- and second-year students, with a panel discussion about their individual writing processes. We will set up tables outside our student union and department building. At the tables, we’ll have swag (and candy) and information about our Writing Major. For fun activities, we’ll be having group horror story writing (sometimes called “exquisite corpsing”) on large white boards or poster paper. The way this works is one student will start the story by writing 3 sentences. The first 2 sentences will then be covered, so the next student can only see the last sentence written and continue the story from there. We’ll also have a one-sentence horror story contest on twitter/facebook. We may also use a gumball machine to distribute writing prompts to students. We’re planning a Taboo! tournament. At the University Writing Center, our National Day on Writing Event this year will center around the “How I Write” series we run on our Writing Center Blog. In that series local writers, both at the university and in the community, answer a series of five questions about where and how they write, their favorite advice about writing, etc. For the National Day on Writing we will be encouraging people to answer these questions. They can take the time to answer all five questions for the blog or, if they just want to answer one, we will have sheets of newsprint out for them to write on that we will post on our windows or they can post on our Twitter feed. This year the National Day on Writing coincides with the first day of the Watson Conference on Rhetoric and Composition, so we are also encouraging conference participants to stop by our new Writing Center space and take part in the “How I Write” activities. Our blog can be found at http://uoflwritingcenter.wordpress.com/ and the “How I Write” entries are tagged with that title. We held a student workshop titled “How to Write Well in Your Classes”. The webinar covered why writing matters and gave students tips for writing well in various disciplines, including in technology and science. The past two years, I asked students to share “Why I Write” on poster boards in the student union where they could also engage in a number of writing-related activities. This year, Writing Center tutors and Writing Fellows are developing the activities for the student union, and my undergraduate research assistant is planning a roundtable discussion on “What is ‘Good Writing’ Across the Disciplines?” which many first-year writing students are required/encouraged to attend. English dept. affiliates set up a booth in the student union, and as students pass, we ask them to contribute short writings on certain prompts around the theme of “I write because…”. Students have various options for what they can write, but my personal favorite is the six-word short story. We are going to do Blackout Poetry, create a collaborative word cloud on what writing means to us (using post-it notes & a poster board), play Hangman & Boggle. Our learning center has a large space on our campus that is normally reserved for the event. This gives us the flexibility to spread out and plan several activities/games or booths of various types. Some of our activities from previous years are: lipograms, giant scrabble (made with letters written on post-its stuck on a large board) and calligraphy; this year, we had our student peer tutors brainstorm ideas for activities that they get to conduct on the day, like “Blackout Poetry” where the end result is to be mailed to a recipient; “Can you Haiku?” where multiple students work together in two teams to compete for the best haiku; and “Mini-Journals” with writing prompts inside balloons or paper cubes, and notebooks that students can keep to continue writing in, and possibly contribute the material to our annual student anthology for 2017. We have a National Day on Writing banner that is posted in the main hallway of the English Department. Passersby are invited to write post-it notes: “why writing matters to me.” We feature responses of students and faculty in an article in our newsletter. Poetry Walkabout: Group walks along river reading poems and talking of poetics on the theme of birds, water, willow; writes together from a prompt; each writer reads their new work aloud to the group. I was back in my hometown, DeWitt, Iowa, over the weekend to receive a generous award from my high school alma mater. 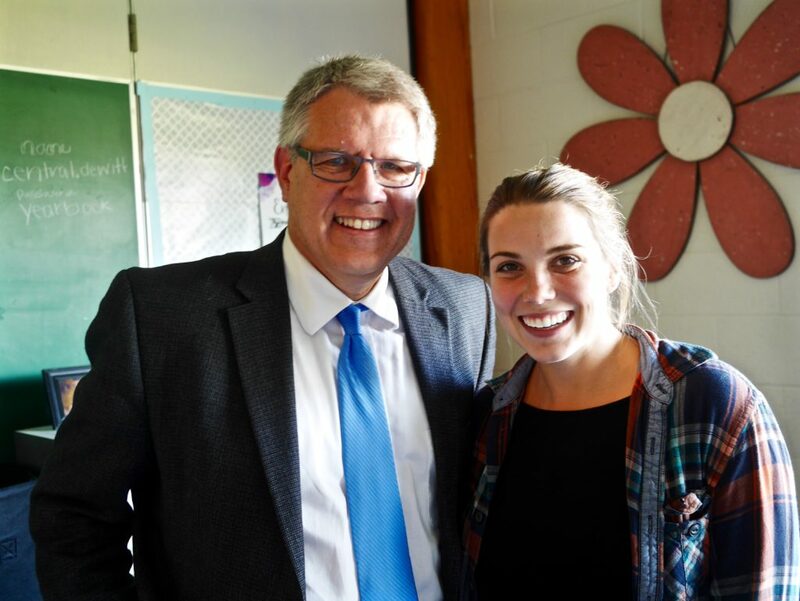 My daughter Monica surprised me from Washington, DC, and both of us sat Thursday afternoon in a sophomore English class. It was the same classroom where I took junior English 43 years ago with Mr. Raikes. I should be more precise: the classroom is in the same place, though it’s massively transformed, along with the school around it. For example, in the last century we performed musicals on the stage in the school gym, where backstage right was filled with a weight machine. Above I’m standing with Ms. Julie Murphy, the teacher who kindly humored me. She’s dressed in school spirit for Farmer’s Day. (Homecoming, you know.) Julie was terrific–and about the same age as my youngest daughter, as if I needed reminder of the ancientness of high school. To indicate just how long ago, I’ll note that when our band performed the 1812 Overture, Mr. Raikes and Mr. Bielenberg stood in the back of the band and fired shotguns into 55-gallon barrels, for the cannon effect. Like that could happen these days. The class started with students writing five minutes in their journals (“What would you do with a million dollars?”) and lots of students volunteered to read their writing aloud–no small thing for kids this age. The class then read several pages of Sandra Cisneros’s House on Mango Street, picking out passages and discussing why sentences stood out. Julie put us in groups for a bit of this. We joined a girl with purple highlighted black hair (maybe for homecoming, maybe not), who had some smart insights, humored us outsiders, and confessed she’d rather be reading a graphic novel. Then the class divided into small groups for upcoming class presentations. Of course, more than the classroom had changed: the reading, the writing, the discussion. The class was 90 minutes long, and several kids were reading an ebook version of the novel. A projector hung from the ceiling, amid with multi-colored paper lanterns. White boards, no chalk. Even on the most patriotic of homecomings 43 years ago, no teacher would have dared teach without a jacket and tie or a skirt and blouse. The tenth graders were simultaneously more worldly than and just as nerdy as I remember us being long ago. But this was a fine young teacher working personably with a group of fine young students, in a school snugged against the cornfields and soybeans, fall in early Iowa when the town smells like wet maples and toilet paper streamers drape the park. Central Sabers, loyal are we. To our colors, true we will be. Fight, fight, fight with all your might. Fight on, you Sabers, fight. Seems to me, the lyrics might benefit from a little variety. I think the point about needing to fight is pretty clear after 3 or 4 fights. Eight are overkill. Maybe we Sabers could establish a motivation for fighting or delineate the benefits of this unfettered rancor. Just a thought.